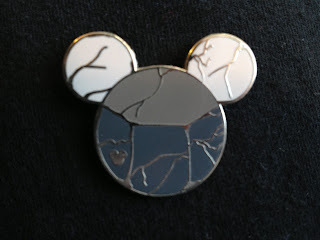 While pin trading in Epcot last summer, I came across a pin I had never seen before. It was a classic Mickey head shape, but with an odd color scheme and design that I didn't recognize. I thought it looked really interesting, so I traded something for it and put it on my lanyard, intending to look it up online to find out what it was. ...and spotted this incredible Hidden Mickey, which I never knew existed. It's now one of my favorites. I love this story! And that pin is really cool.